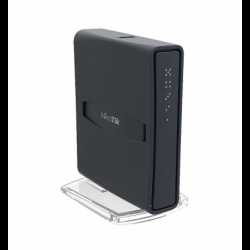 The hAP ac lite tower is a Dual-concurrent Access Point, that provides Wifi coverage for 2.4GHz and 5GHz frequencies at the same time. New design universal case allows unit to be positioned either horizontally (desktop) or vertically (tower case). Wall anchored mounting kit is provided. The hAP ac lite tower can be powered from the power jack or with passive PoE from a PoE injector. The power adapter is included. Unit provides PoE output function for port 5 - it can power other PoE capable devices with the same voltage as applied to the unit. Maximum load on the port is 500mA. 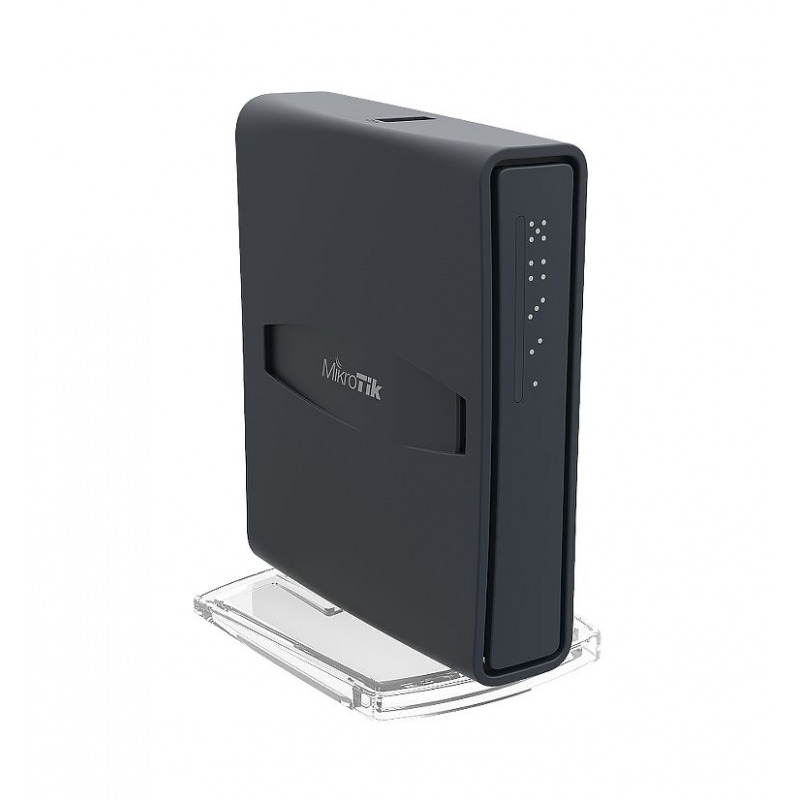 The hAP ac lite tower is preconfigured, so all you need to do, is plug in the internet cable, the power, and start using the internet by connecting to the MikroTik network.